As the U.S. Small Business Administration celebrates National Veterans Small Business Week Oct. 31 – Nov. 4, it reminds me of the thousands of service members transitioning each year from military to civilian life many of them looking to start a new journey … their own business. We know that veterans succeed in entrepreneurship. Today, there are approximately 2.5 million veteran-owned businesses and these businesses employ nearly six million individuals. Moreover, in the private sector workforce, veterans are more likely than those with no military experience to be self-employed. At the SBA, we are committed to ensuring our nation’s veterans have access to the capital, counseling and federal contracting opportunities needed to start, build and grow a successful small business. In fiscal year 2016, SBA supported more than $1.3 billion in lending to more than 3,500 veteran-owned small businesses. Locally, at the Lower Rio Grande Valley District , veterans received more than $1 million in SBA-backed loans. To help veterans gain access to capital, under the Veterans Entrepreneurship Act of 2015, up-front guaranty fees for SBA Express loans are set to zero for qualified businesses owned by a veteran and/or the spouse of a veteran. And under SBA Veterans Advantage loan program, fees for many 7(a) loans (other than SBA Express) $150,001-500,000 are reduced by up to 50 percent. In September, the SBA announced a continuance of both programs in FY 2017 for loans approved Oct. 1, 2016 through Sept. 30, 2017. SBA also offers special assistance for small businesses owned by or employing activated Reserve and National Guard members. For example, military reservist business owners and companies that employ a military reservist in a key position may qualify for SBA’s Military Reservist Economic Injury Disaster Loan program when an active duty call-up results in a financial hardship on the business. Moreover, the SBA provides counseling and mentoring for veterans, reservist, National Guard, and active duty personnel who want to start or take their small business to the next level. Research shows that small businesses with a “counseling” experience see increased sales and sustainability. SBA supports a nationwide network of Veteran Business Opportunity Centers which, along with SBA’s other resource partners, provide business counseling and training. 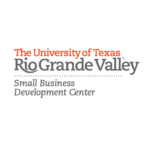 Fortunately, the LRGV District has a VBOC Office in Edinburg co-located with UTRGV Small Business Development Center both tasked with business training (example: Boots to Business and Boots to Business Reboot), counseling and technical assistance. SBA also connects veteran-owned small businesses with another important source of funding — federal contracts. Through a series of Public Laws Service-Disabled Veteran-Owned Small Businesses, federal contracting officers may limit competition to SDVOSBs and award a contract as sole source or set-aside contract where certain conditions are met. 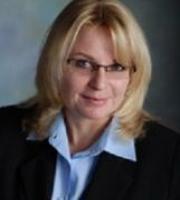 The SBA’s goal for SDVOSB contract awards is three percent government-wide. The LRGV District Veteran-owned firms to include service-disabled veterans were awarded more than $3 million in federal contracting business in FY 2016. After World War II, our nation’s veterans helped reshape the U.S. economy — contributing to one of the longest periods of economic growth in our history. At the SBA, we know … with the right resources, our veterans will continue to help build our national economy for the long-term; and LRGV District is here to help. During National Veterans Small Business Week and the following week up to Veteran’s Day the LRGV District will host and participate in a series of activities specific to supporting Veteran Entrepreneurs. This is your personal invitation; I encourage all interested to attend. Please go to hyperlink below for the various activities. Click on the activity of interest. For more information about SBA veteran resources, contact Reynaldo Vasquez, Veteran Business Development officer at 427-8533 or reynaldo.vasquez@sba.gov.